This stunning 3000 Sq. Ft. Villa with 1500 Sq. 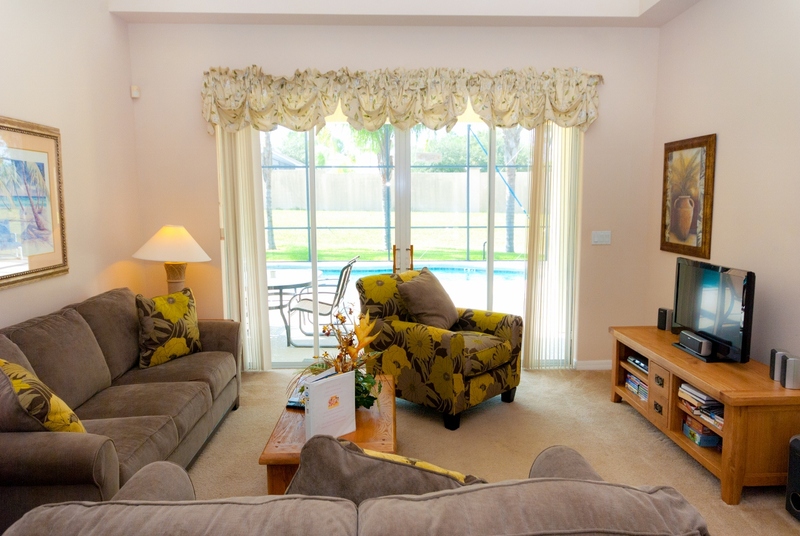 Ft. South Facing Pool Deck is located in Calabay Parc at Tower Lake, an exclusive community 15 minutes from Disney and 2 minutes from Southern Dunes Golf Club. This Executive Villa is equipped with Broadband Internet PC and secure Wi-Fi, Games Room and we also have access to fishing on our own Lake. We even provide 3 Fishing Rods! We also have a large Gas BBQ positioned on our Deck under the roof so you can BBQ and stay dry! The Villa has five wonderful bedrooms including two Masters both with King beds (the downstairs master has a wonderful Sleigh Bed with luxury gel cooled mattress) and both are ensuite. 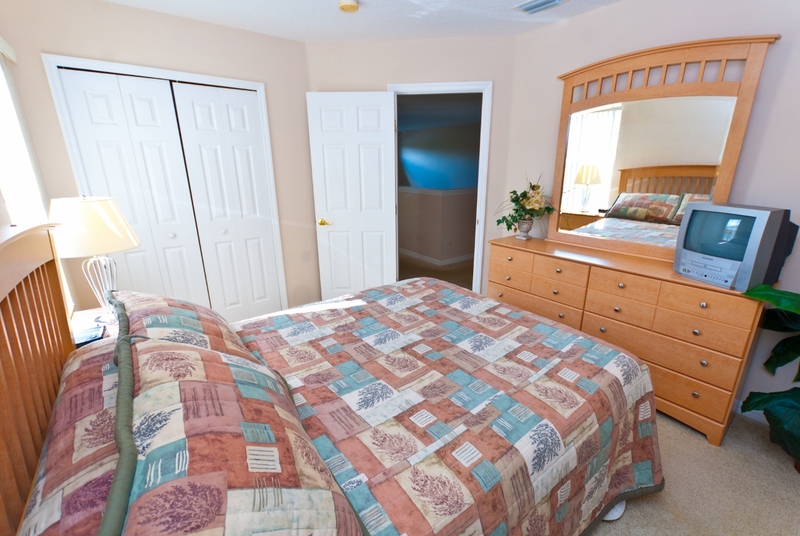 We also have a Queen equipped bedroom and two sets of twins in bedrooms 4 & 5. 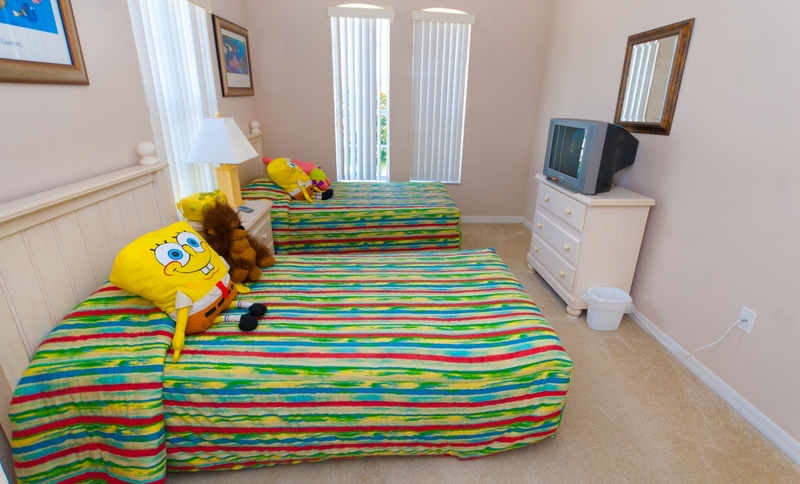 One of these rooms has an ensuite and is themed with Sponge Bob Square Pants Soft Toys, T.V. and Boombox and the other twin is themed with Angry Birds. 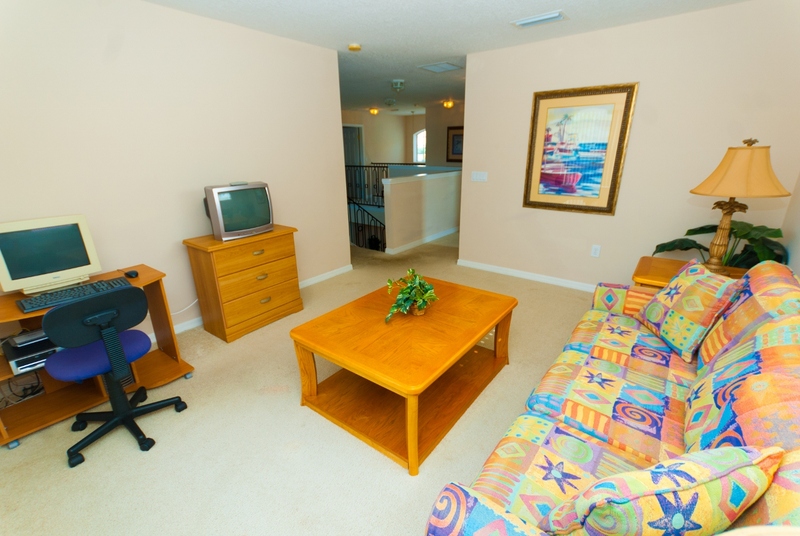 We have also recently added a 52" LED TV with HD channels and a floor safe for your valuables. 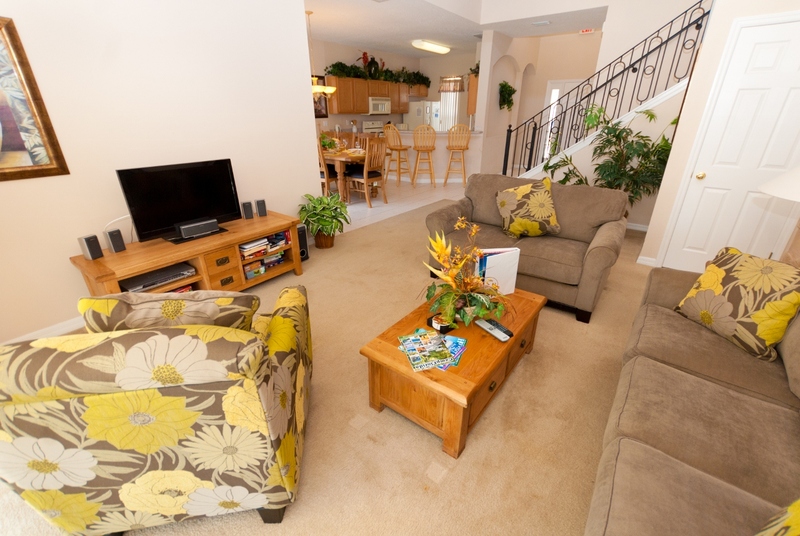 All bedrooms have Cable T.V. and the Masters also have DVD players. We also have a Home Cinema System in the main Sitting room plus a Playstation 2 in the upstairs Sitting Room with its own T.V. American Fridge and Cold Water/Ice dispenser, Dining Area and Utility. 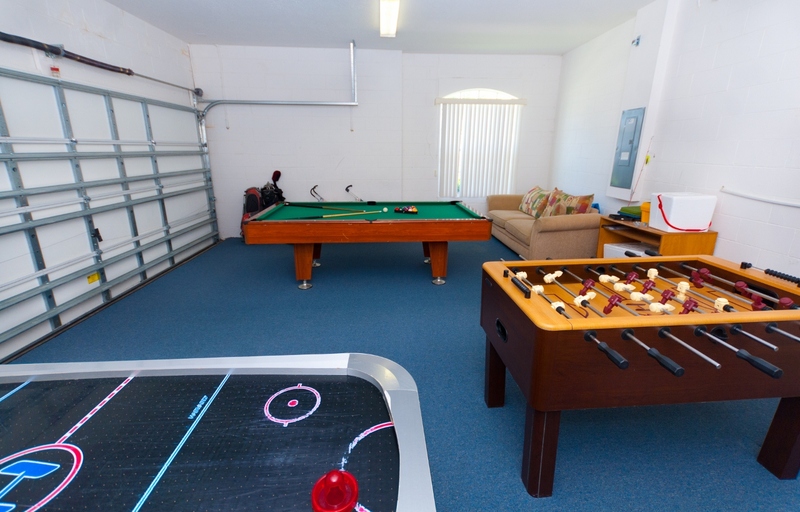 We also have a Games Room with 8 ft Mizerak Championship Pool Table, Air Hockey, and Foosball. The 1500 Sq. Ft. South facing Pool/Spa area is fantastic and is huge and has a Gas BBQ. 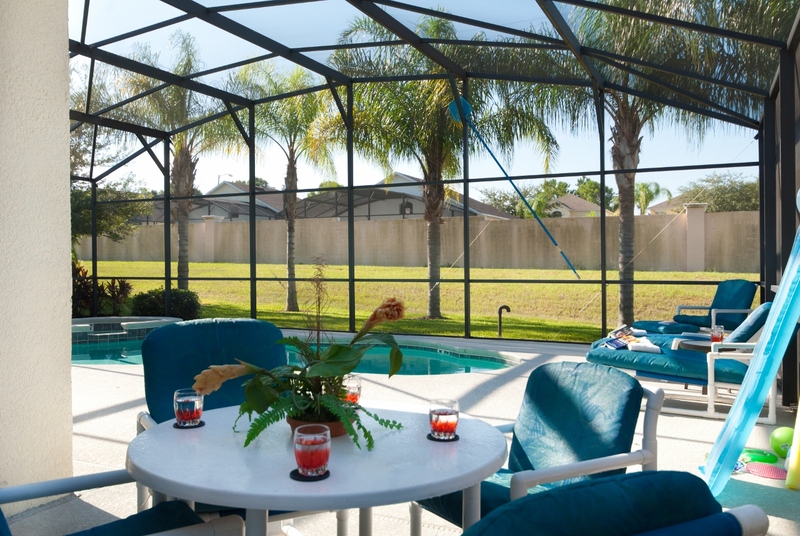 We have especially extended the Deck and there is simply a huge area to choose where to lounge. covered eating area with Ceiling Fan.... and of course I could go on and on, but I hope you get the picture! 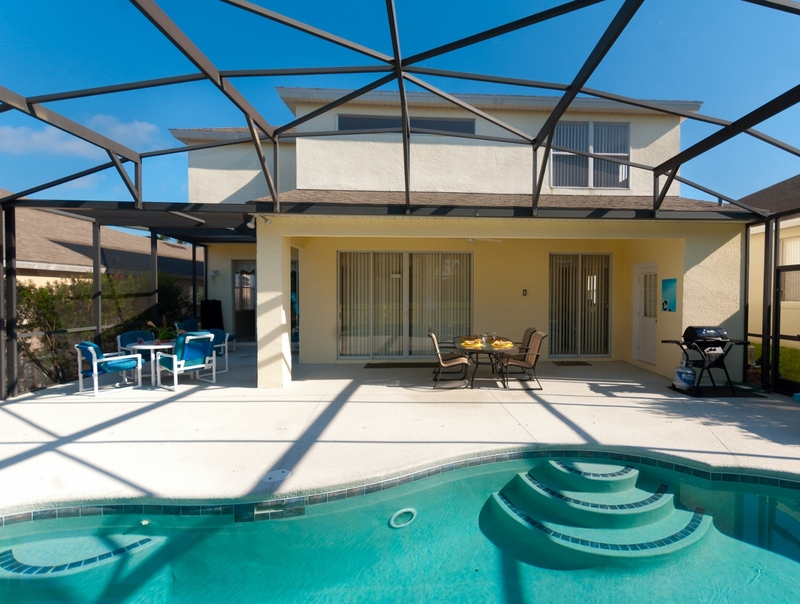 This Villa without a doubt is in the top 5% of all Villas in Orlando. A fantastic holiday is guaranteed and your stay at our Villa will not disappoint you. We also provide FREE Crib, High Chair & Stroller! 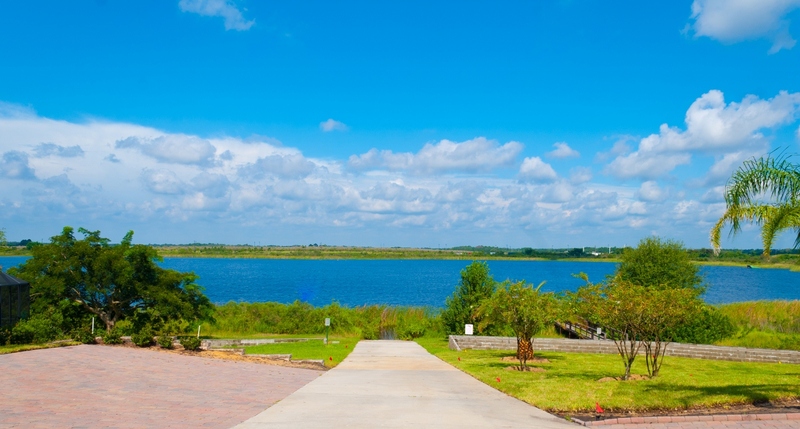 Situated alongside the beautiful and natural 'Tower Lake' in central Florida, the new gated community of 'Calabay Parc at Tower Lake' offers facilities and holiday villas which are the envy of other vacation communities. Being located south on the US27 from the I4 means you can be at the gates of Disney in just 15 minutes without getting stuck in jams on the 192. Disney World, Orlando is only 15 minutes away. 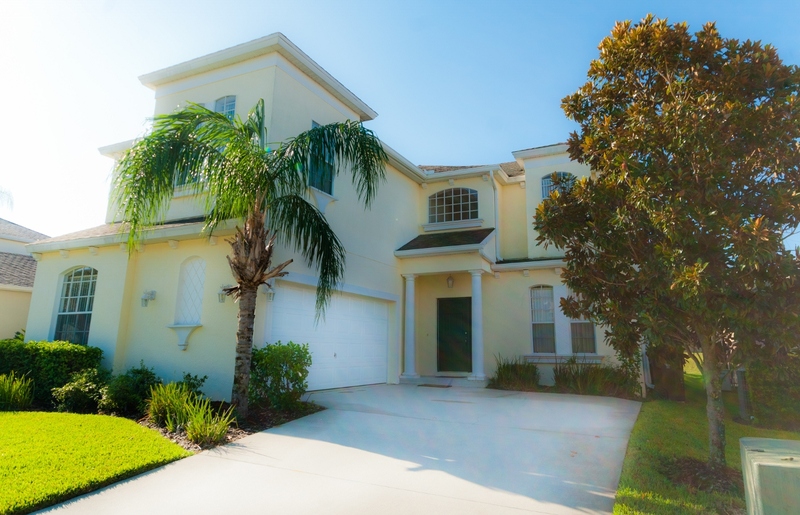 There is no shortage of championship golf courses close to Calabay Parc at Tower Lake including the well known Southern Dunes, one of Florida's top PGA golf courses. 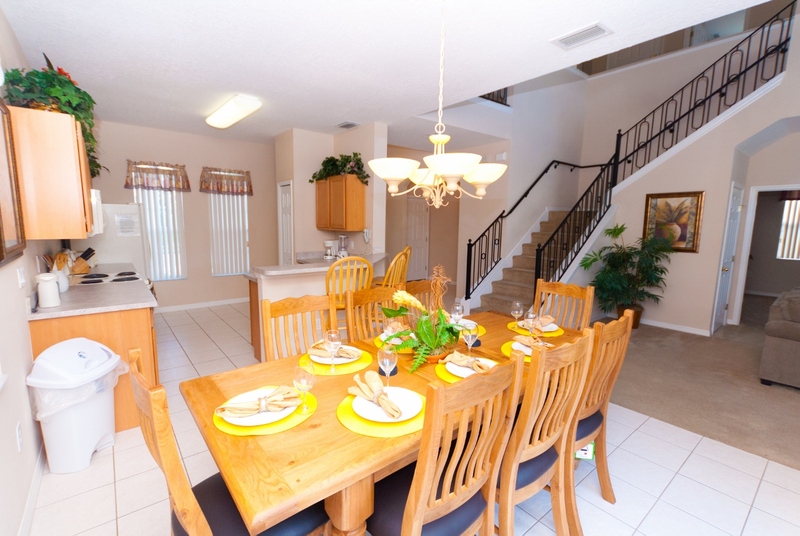 Two large supermarkets (Publix and Wal Mart), numerous shopping outlets and dining experiences are close by. This exciting new development has its own private lake and fishing jetty. Tower Lake is only ten minutes away from the new multi-million $ development at Posner Park which will provide fine dining, distinctive shopping, movie theatres and much more. 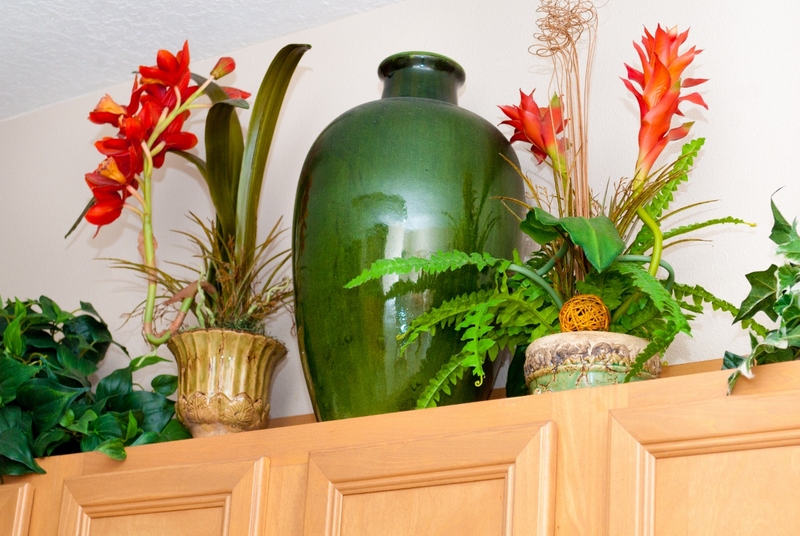 Publix, Wal-Mart, Walgreen's, numerous retail outlets and take away food restaurants are only 10 minutes away. There is no shortage of championship quality golf courses with easy reach of Calabay Parc. One of Florida’s top PGA golf courses is located at nearby Southern Dunes.